What swayed your decision to change? I left HFC after the 18 month congestion debacle. I thought those who stuck it out through to the DOCSIS 3.1 rollout were happy campers now. Chorus are most of the way through a project to replace ever old ADSL 2+ / VDSL line card with a new VDSL vectoring one for every ISAM exchange and cabinet in the country. This does not include the legacy conklins and ASAMs which only offer ADSL 1. This includes Chorus UFB areas and Chorus exchanges which are at this stage unlikely to see vectoring any time soon / ever. That is mad, especially considering the "UFB" areas will be the most densely populated and most likely to see a benefit from vectoring. I get it, in terms of Chorus want to have the highest conversion to fibre rates of all the companies rolling this out. If they leave Vectoring on in an area where fibre exists then customers would not be incentivised to move from copper in some cases. Imagine a line close to the exchange with vectoring on, they could get 100mb down and 50mb up, where fibre is typically 100/20. Where is the incentive to move other than a technology change lower latency which most people do not understand or care about? I'd like to see them turn it on in areas that are not scheduled to have fibre for some time and then turn off when fibre is ready to be installed. the default upload really needs to be higher on the low end fiber plans because like above wheres the incentive to change over when VDSL is around the same price as fiber? I get it too, but it made a lot more sense to me when it was a decision between "spending money on new linecards to make VDSL more attractive" and "not spending money on new linecards and making VDSL less attractive". Now it seems like they're spending the money, but deliberately leaving performance on the table. IMO if Chorus's aim is to convert people, they should do it by boosting the speeds of fibre, not suppressing the speeds of VDSL. As long as they have stewardship of the copper I think they are obliged to try and deliver the best performance it's capable of - to everyone, not just customers where there's competition. I always understood from the discussions with chorus it was upgrade linecards where possible, reuse the older ones in some situations too. to nerf into the ground a product purely because UFB is available but still upgrade it seems like a massive loss of potential gain..
IMO, withdrawing VDSL is the wrong move, rather where UFB is available VDSL should be dropped to like 30/10; still using Vectoring + G.INP as they are solid features. 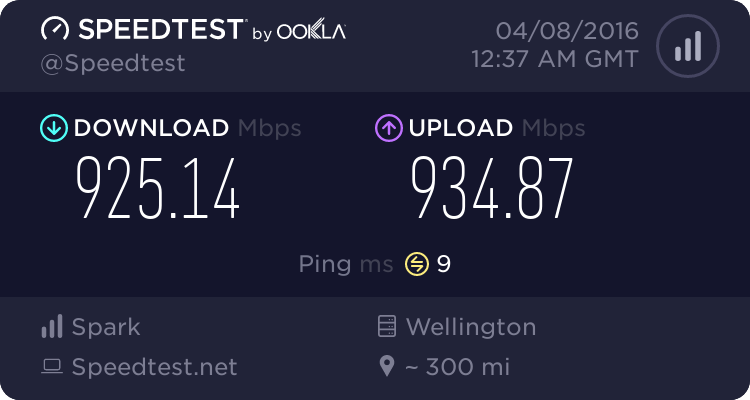 I'm of the opinion that VDSL should be left in place as fast as it can perform and we push UFB to 1Gb as a base so the incentive to move to fibre is overwhelming. Without starting a rant, it was really poor service that made me decide to leave. Over the past several years every request I've put to vodafone has required someone to fix it, the last attempt was to try to buy the new Vodafone TV but the sales rep stuffed up the order and it shouldn't be up to me to run around trying to get it corrected, also the wife-acceptance-factor had run out too. Oddly the response time of Webpages on VDSL and Spark's 4G network seems a lot quicker. DLM is still in process as I've only had this going a few days, waiting to see if it is willing to go quicker than 54.7 megabit. I'm 292m from the cabinet (roughly). Going back on topic, Seeing a few more planned outages with the same tagline as the Vectoring switches. Hoping it is indicators of more lines switching over in the next few weeks, All south island based so far for the most part. 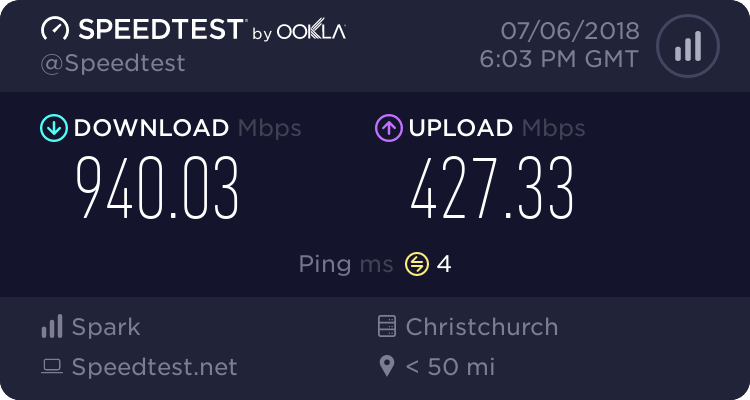 I had thought that it would result in speeds topping out at 150-160Mbit or so, but so far that doesn't seem to be the case and the same speeds as before with users top speed of just under 110Mbit. Reading the Chorus VDSL2 Vectoring white paper (cant post the link) I wonder how much of an impact 'non-vectoring compliant CPE' will have on other customers and if Chorus can do anything about them long term. There seem to be about 3 different profiles floating around for these, with varying max sync rates on the DSLAM port. Further digging, the 110830 profile was put onto all BKM.